A CD tower turned on its side can be a useful storage piece in a bathroom or office to make frequently used items more accessible. In the photo, the CD tower is used to house lotions, makeup and toothbrushes. 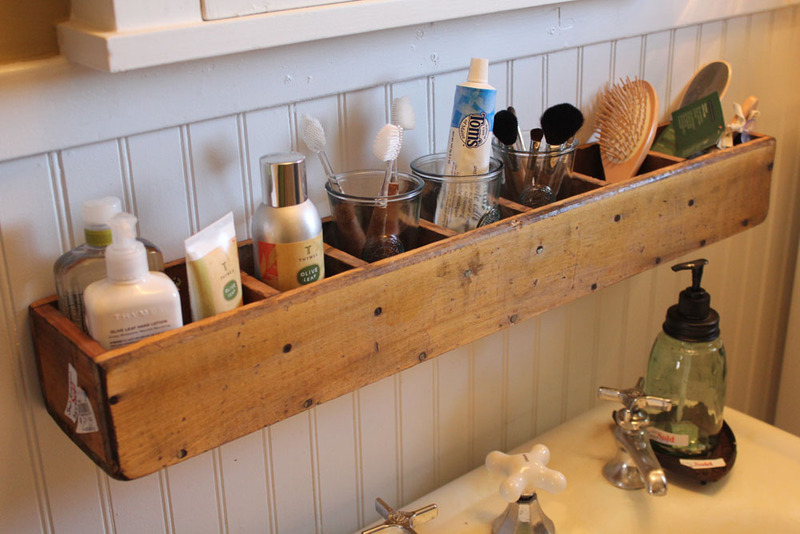 It looks stylish and keeps these items from cluttering the sink area. In the office, you can take the same idea to keep pens, pencils, tape paper, etc… handy. Making use of wall space is always a great option for storage. This CD tower turned on it’s side is a great way to make it happen!